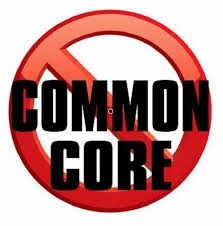 At the end of November, I posted up an article, Shock Recording: Ken Paxton Not interested in Stopping Common Core or CSCOPE as Attorney General. The article included a clip of a voice recording where Ken Paxton is asked about CSCOPE and Common Core. Ken Paxton responded by saying the Attorney General will probably won’t get involved in that. In response to the article, I had some Paxton supporters contact me and say that the audio clip was cut short. They alleged that someone cut the recording short and that Ken Paxton did say he would not get involved, but then went on to say he will fight these things as Attorney General. This bothered me because I certainly would never post any audio that was altered, or that was cut short in a way to make it appear as though someone said one thing when in fact they go on to answer the question in further detail. I think Paxton is a good guy and a conservative. I only oppose him now because I believe that Barry Smitherman is better than Paxton. I truly believe that Barry Smitherman is even more conservative and will be more of a fighter. It is the little things that no one sees that sets Smitherman apart from Paxton in my mind. Such as Paxton Missing Hundreds of Votes and Smitherman Missing None, or Smitherman rejecting budget increases for his office while Paxton voted to increase his office budget. That being said, I would never post anything false against Paxton, so I went on a mission to find a longer version of the audio recording. If the audio I had was cut short then I wanted to make it right. I did find a longer version of the recording. I uploaded this longer version to YouTube and posted at the end of this article for everyone to hear. This audio recording shows Paxton answering a question before the CSCOPE/COMMON CORE question, and then he answers the CSCOPE/COMMON CORE question, and then this longer version also shows him going on to answer a different question about redistricting. This longer version clearly shows that the original voice recording I posted a month ago was accurate and Paxton was not cut short in the recording. Also in response to the article, I had some Paxton supporters contact me and tell me that Paxton stood against COMMON CORE and CSCOPE as a legislator. To this I replied that I never said he didn’t do that as a legislator, but he is not running for the Texas Legislature, he is running to be the Texas Attorney General. What he did as a Legislature is good but I want to know what he will do as the Attorney General. His response that as Attorney General he will probably not get involved was surprising to me. But since Paxton did not know he was being recorded, I believe his response to show his true intentions regarding the issue. Barry Smitherman has come out and stated that as Attorney General he will fight against Common Core and CSCOPE. Why wait for a lawsuit as Ken Paxton has said should happen before he gets involved? Attorney General Greg Abbot did not wait for a lawsuit. He sent a letter to CSCOPE and told them to comply with the law and they did. There was no lawsuit there but Abbott was being proactive and defending the laws of Texas. Smitherman will also be proactive in defending Texas from illegal use of CSCOPE and Common Core. Paxton clearly states that as Attorney General he would probably not get involved unless there was a lawsuit. That is not good enough for me. I welcome Ken Paxton or his campaign to reply under this post any response to this recording and what Paxton said in the recording. I have not received any statement from Paxton regarding this recording or else I would have posted it here.